Home > NASCAR > Mark Zuckerberg NASCAR experience! 9,000RPM Holy Molly of Dale Earnhardt Jr! 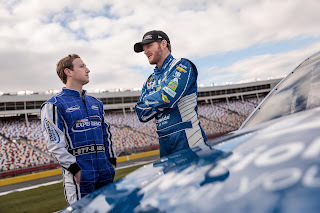 Mark Zuckerberg NASCAR experience! 9,000RPM Holy Molly of Dale Earnhardt Jr! 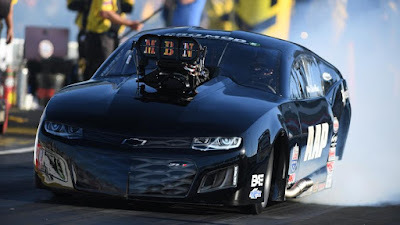 If you thought you are the only one who gets excited in a 9000RPM built engine and a car that goes above 200mph,you are wrong. Meet Facebook founder Mark Zuckerberg inside the cockpit of a NASCAR. Hendrick Motorsports hosted Facebook founder in one of a NASCAR built racing car at Charlotte Speedway Park in North Carolina.And to give a quick tour of the facility was NASCAR's 3rd generation drive and fans favorite Dale Earnhardt Jr who is the only NASCAR driver to qualify for eight times for play-offs since 2004. Mark was taken on-board for a few laps in the Nationwide 88 Chevrolet SS NASCAR and the heat at the cockpit was all that captured the Facebook founder.